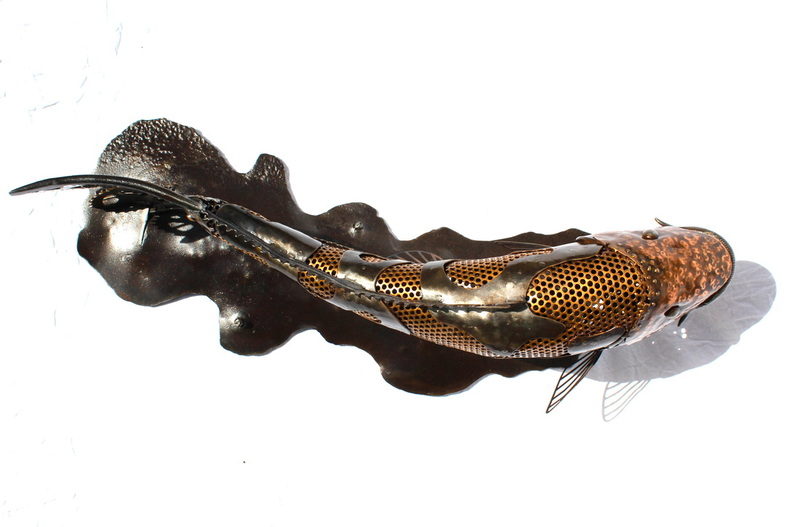 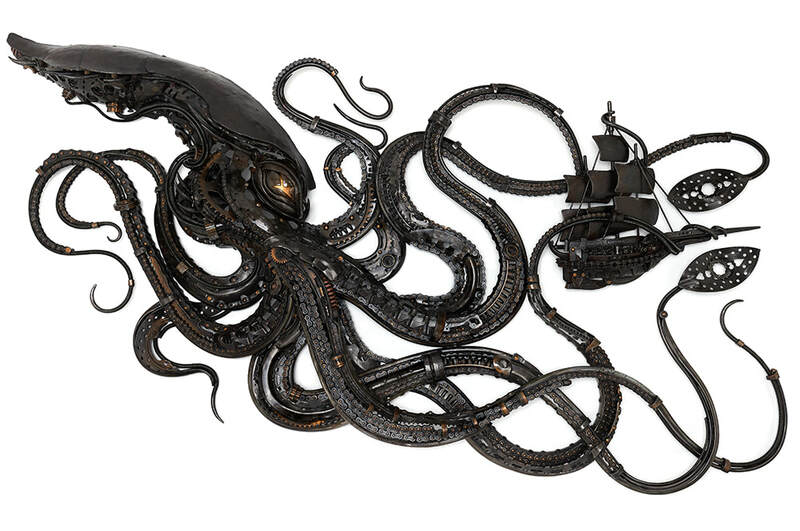 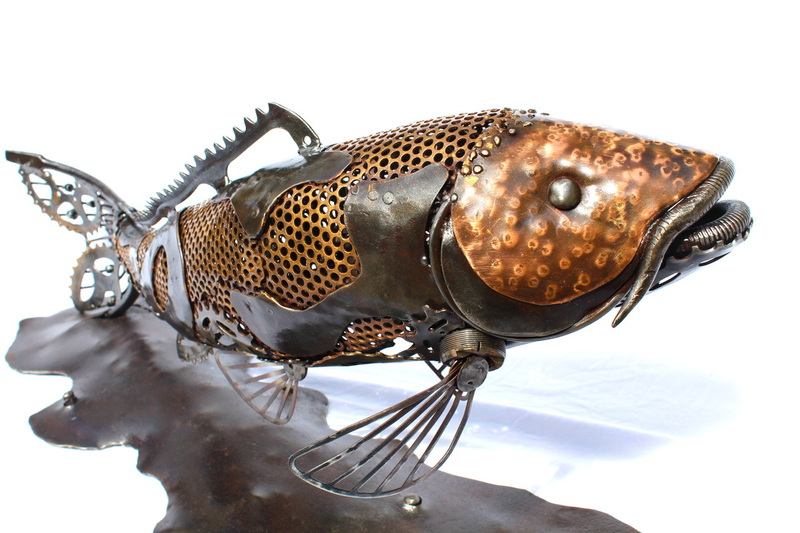 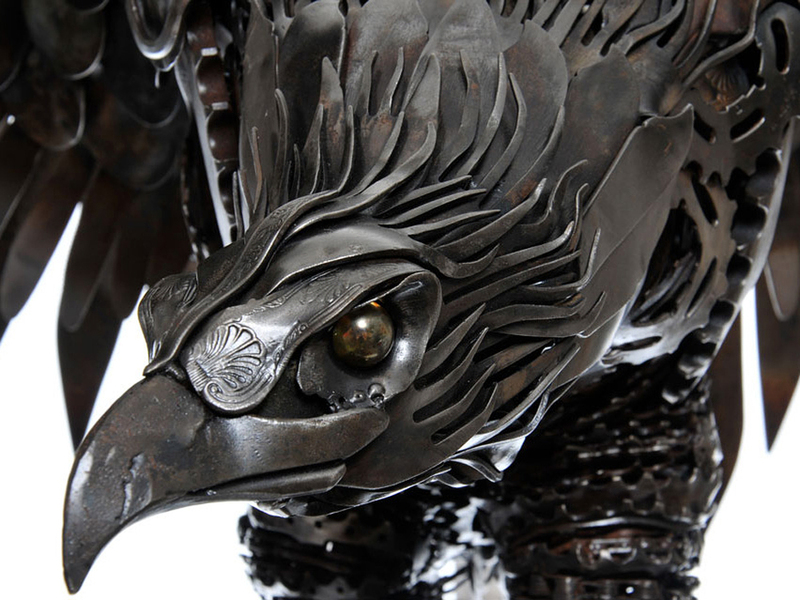 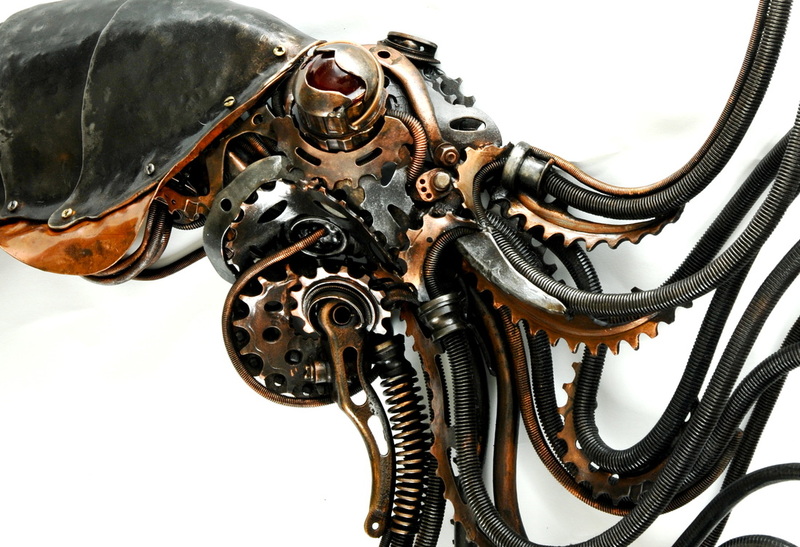 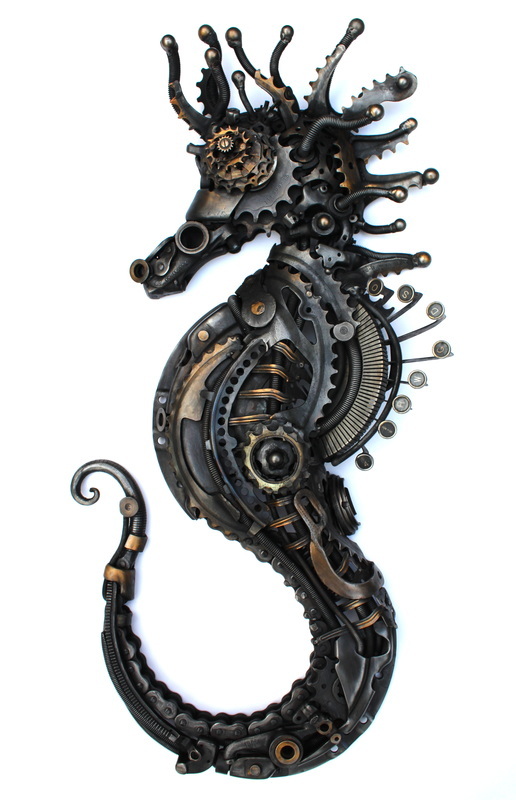 Alan Williams is an incredible metal artist based in Brighton, UK that uses found and recycled metal to create fantastical creatures and animal sculptures. 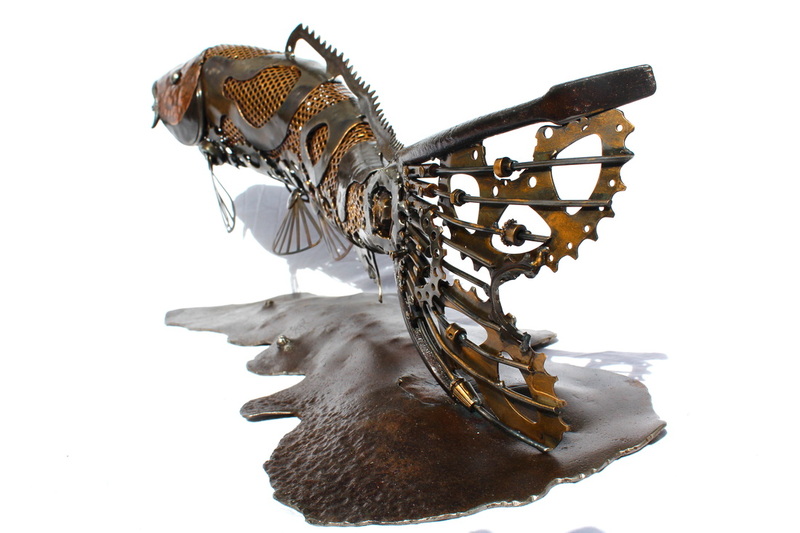 Williams says “my creative exploration began in my childhood, making fantastical hybrid creatures using old toys and a tube of glue. 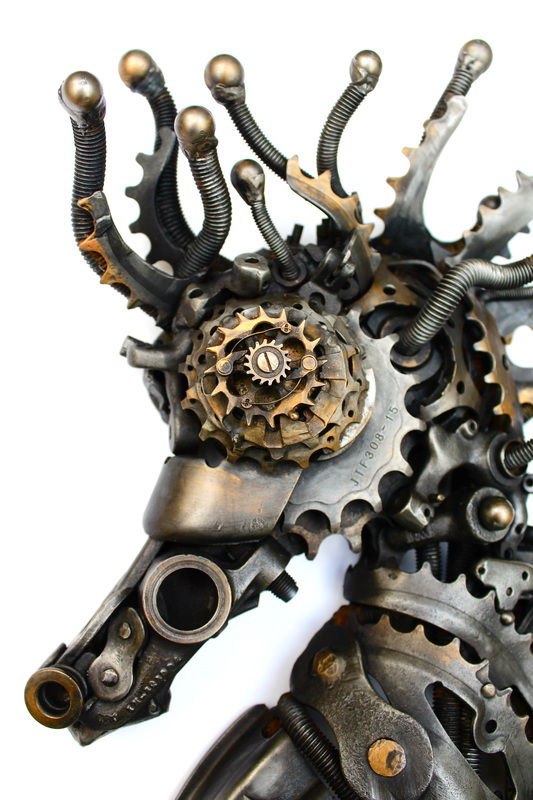 Today I make animals and creatures from mostly found and recycled metal; transforming every day objects into detailed, sculptural artworks. 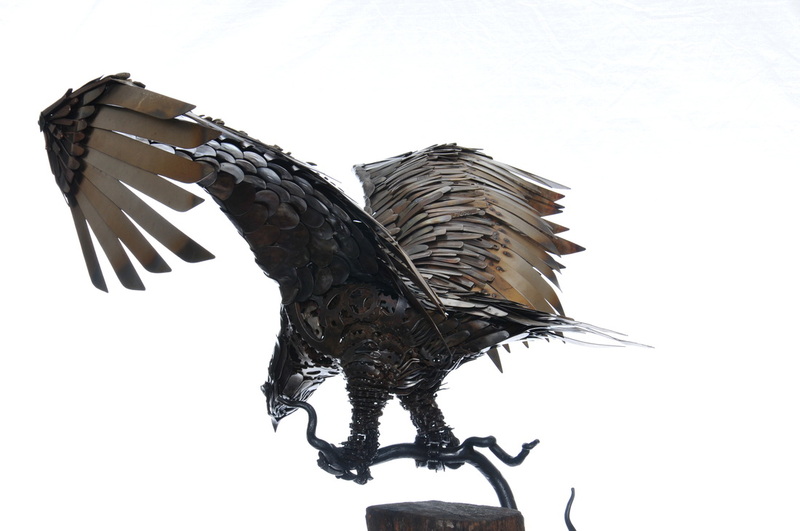 My commissions include sculptures, architectural installations and furniture. 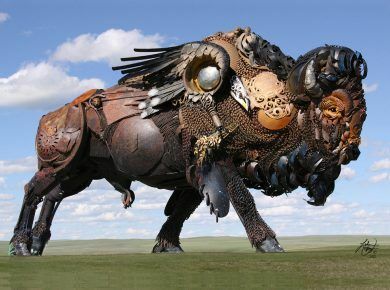 And many of my public artworks are on display in several locations throughout the world.” After viewing these incredible sculptures be sure to check other animal sculptures: sculptures from old hubcaps and amazing sculptures from scrap metal.